Sarah Kauss is the founder and CEO of S’well, creator of the original fashion hydration accessory. 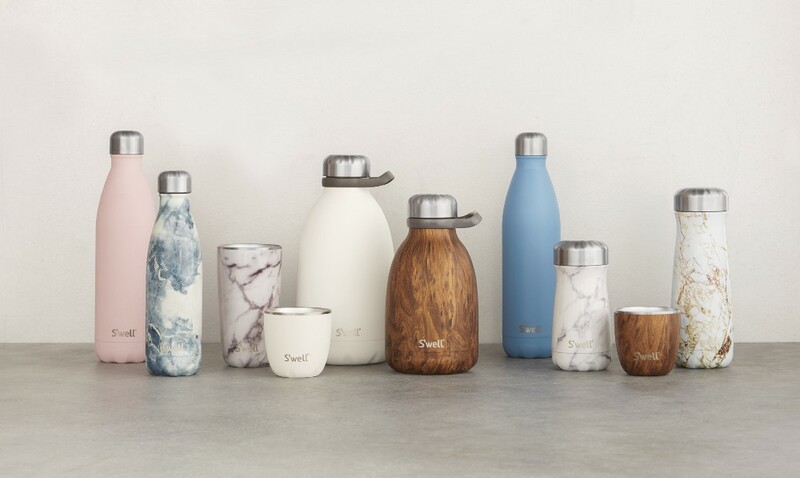 Launched in 2010, she married her passion for fashion, hydration and philanthropy to disrupt the reusable bottle industry and transform the on-the-go, drinking experience. Sarah has been recognized as a Fortune’s “40 Under 40” honoree and EY Entrepreneurial Winning Woman, while S’well has been named #1 Fastest-Growing, Women-Led Company by The Women Presidents’ Organization and honored with the Brand Design award by Inc. magazine. How did you decide to start your own company? What was the thought process, and what were you doing before? I had been working as an international real estate developer and was in search of something new when I took a sip of warm water on a hike in Arizona. Having always carried a reusable water bottle with me, I realized in that moment that there must be a way to create a bottle that worked harder and looked better so that I might help do more good in the world. I started writing my business plan that weekend. What is the biggest roadblock you have experienced in building your company? How did you navigate around it? Surprisingly some of the biggest challenges can come from exciting success. Over the last few years, we experienced phenomenal growth. In order to keep up, we had no choice but to keep putting one foot in front of the other without taking a break. We were running a $100 million business on a Wordpress site and with Quickbooks. Our team was doubling and quadrupling at a rapid pace. We didn’t have time to upgrade our systems or truly take care of ourselves. Deciding to hit pause wasn’t easy, but we finally did it. We built a new site, changed distribution facilities, restructured and implemented new systems and, along the way, invested in senior talent to help better develop the team for a fast-paced environment like ours. I’m so pleased with where we are at this point. The infrastructure is in place, streamlining processes for us. We’re experiencing better communication and smoother customer exchanges as a result. We can see a bright future ahead because we’ve put many of the pieces in place to continue to grow, while fostering a supportive work culture. If you had a genie in a bottle and you could get three wishes, what would they be? A body double. An inbox that clears itself. And a teleport machine to get me up and down the coast faster. Who is inspiring you right now and why? Patty McCord is quite the inspiration. Her latest book — Powerful: Building a Culture of Freedom and Responsibility — takes all that she’s learned at Netflix and beyond, and uses it to flip today’s typical HR practices on their head. She’s helping us rethink some of the current practices we have in place and how we might continue to encourage more strategic thinking and action-driven teams through our policies. 2018 is about driving deeper with our current consumers, introducing ourselves to new ones and chasing the globe. We’re launching new collections, collaborations and forms this year, plus expanding beyond the 65 countries we’re in to reach new regions and opportunities. Connect with Sarah Kauss: Twitter / Instagram.